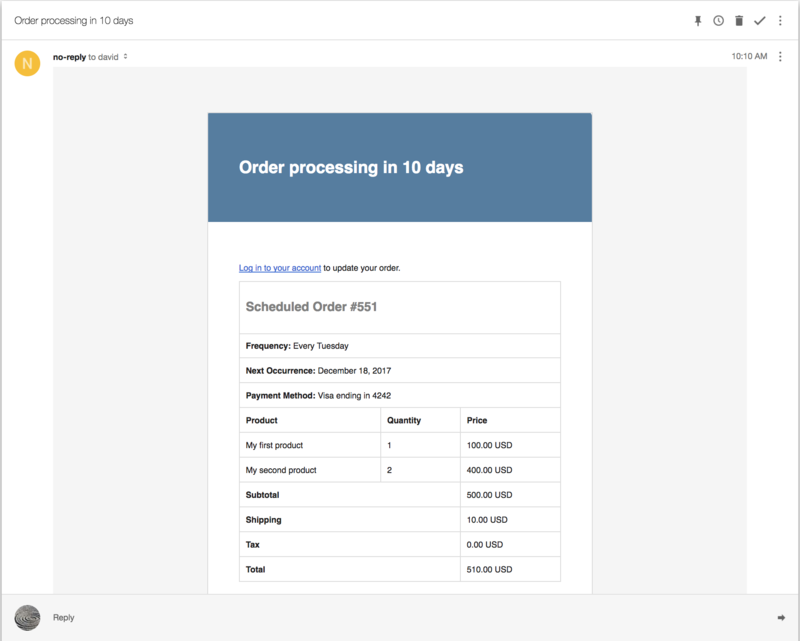 Optional email notifications for Scheduled Orders can be enabled within the QPilot Merchant account (https://merchants.QPilot.cloud). By default, all email notifications are sent from the sender address notifications@qpilot.cloud. To change the email address that notifications are sent from, login your QPilot Merchant account, locate your site from the "Sites" page and select "edit" from the Site Menu to locate the "Emails" tab. Enter the email address of your choosing into the "Email delivery address" field. Important: Verify the domain that your email is sent from with QPilot's email delivery service. QPilot uses the email delivery service SendGrid to ensure high email deliverability and simplify domain verification. You should not use "no-reply" addresses. These email addresses will hurt your domain's reputation over email servers and can result in emails being flagged as Spam. 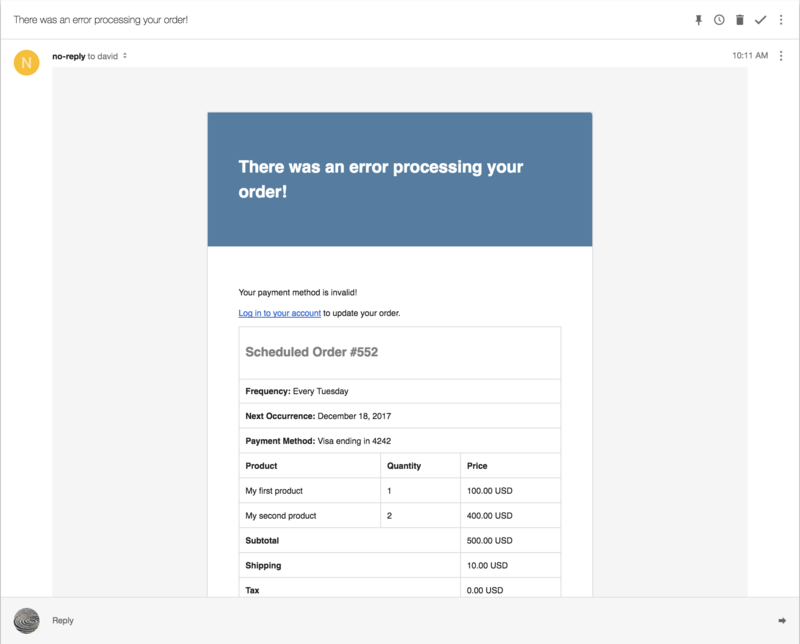 Email notifications include a basic styling and layout to display important information about Scheduled Orders. NOTE: Currently, basic changes to the styling of the email notifications (including colors, logo and added text) can be made by the QPilot team on request by the site owner.